Tucson Locksmith 24 – Your Best Choice for Locksmith Services! Tucson Locksmith 24 has been serving customers in Tucson AZ and the surrounding areas for more than a decade. Our experienced and professional locksmith Tucson team provides a full range of residential, commercial, automotive, and emergency locksmith services and we’re here for you 24 hours a day, 7 days a week. We pride ourselves on providing a high level of customer service and have built relationships with many of our clients over the years. 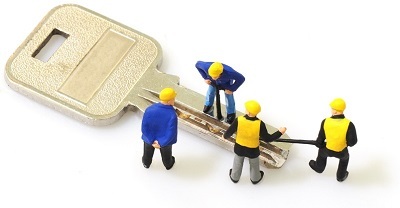 All of our Tucson locksmith technicians are fully licensed, certified, bonded, and insured. We use advanced equipment and techniques to get the job done quickly and efficiently, without compromising on customer satisfaction and workmanship. When you are looking for the most affordable prices and exceptional customer service, call the professionals at Tucson Locksmith 24 for all your lock and key needs! We’re here to help with any type of project and will be at your location within 25 minutes or less!